The Healing School auditorium filled with sweet sounds of praise and worship. 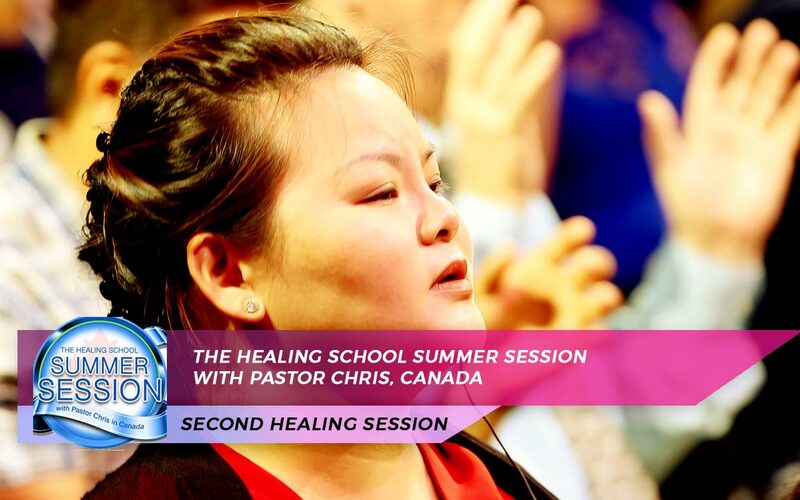 It was a beautiful day in the city of Toronto, Canada, more so because the second healing service of the 2017 Healing School Summer Session had begun. With earnest and heartfelt prayers, the people lifted their hands and thanked the Lord for all he had in store for them at the service. The auditorium was filled with sweet sounds of praise and worship as they expressed their love for God. The students at this healing service were fired up and ready to take hold of their miracles. With certainty, they awaited one touch from God that would make the difference in their lives; It was the set time for that change they have hoped for. Stories of deliverance from diabetes, depression, cancer and more inspire faith. It was an atmosphere of faith at the second healing service of the Summer Session as several people testified of their miracles from previous sessions of the Healing School. Their testimonies proved beyond measure the extraordinary love of God at work in the lives of His children. Armado Serneo testified of how he was healed of diabetes, which he had suffered for a long while and had started to affect his eyesight. He shared with great joy the good health he now enjoys. Tanya Baytops told the story of her miraculous healing from cancer when she came to Healing School. Her life was restored and renewed with one word from God. Pastor Chris puts an end to osteoporosis, stroke, other diseases, ministering with the healing anointing. The service progressed to a whole new level as the man of God, Pastor Chris, entered the auditorium. With great compassion and love, just like the Master, Jesus Christ, he ministered healing to the sick. Such wonderful demonstrations of God’s presence and power, such joy and celebration as many were healed of different conditions. Whether physical or spiritual, blood diseases, ulcers, asthma, diabetes, heart diseases or paralysis; all were healed by a touch of the Spirit! It’s a new day for Grace Wong, who was healed of osteoporosis and is, once again, free to walk without pain or limitation. Ezekiel George was healed of stroke and paralysis. He lifted his crutch as he walked smartly across the hall. Never again will he be held bound by pain or sickness. Hallelujah! What a mighty move of God! What an exciting time for all at the healing service; it truly was an overflow of incredible miracles. Those who came sick were totally healed and transformed by the power of the Holy Spirit! Second healing service of the Summer Session concludes with rejoicing, salvation of souls. Glad to have been part of this wonderful episode of the miraculous, the people danced and sang for joy, praising the Almighty God, who has made all things well. The man of God, Pastor Chris, took out some time to specially minister to others present at the service who had various health concerns. "I want to lead you to salvation," Pastor Chris said as he gave the altar call. Many came forward to confess the Lordship of Jesus Christ over their lives, thus becoming partakers of God's divine nature. This is a new beginning for great things, and their stories from hereon will be upward and forward only. What a glorious and unforgettable experience! People from all walks of life and different parts of the world have been impacted by what they witnessed at the healing service, and their lives will never be the same again.